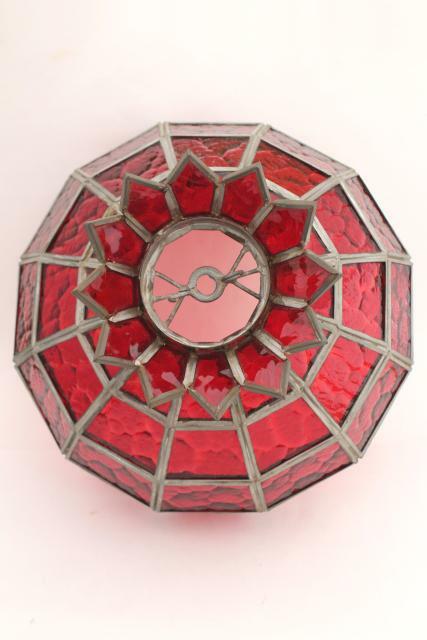 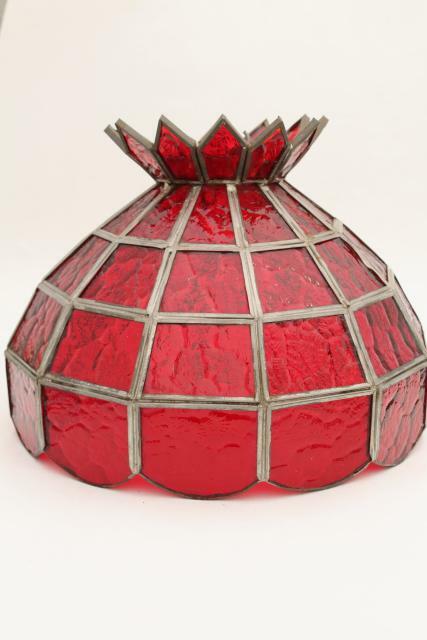 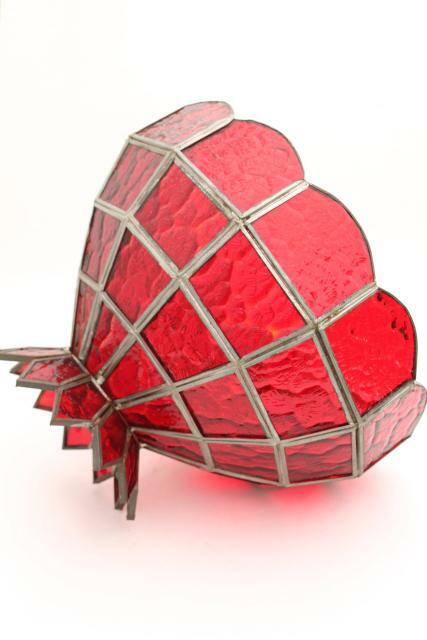 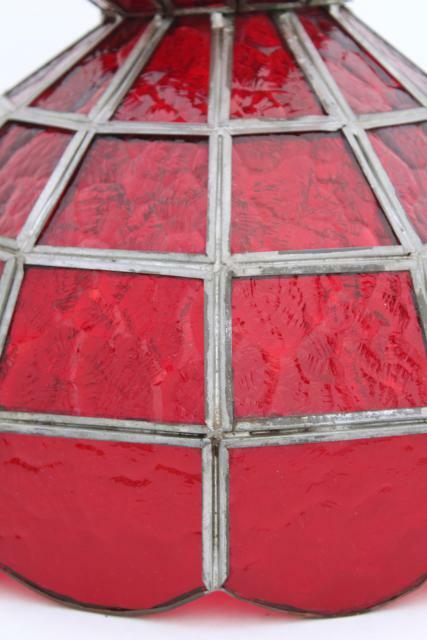 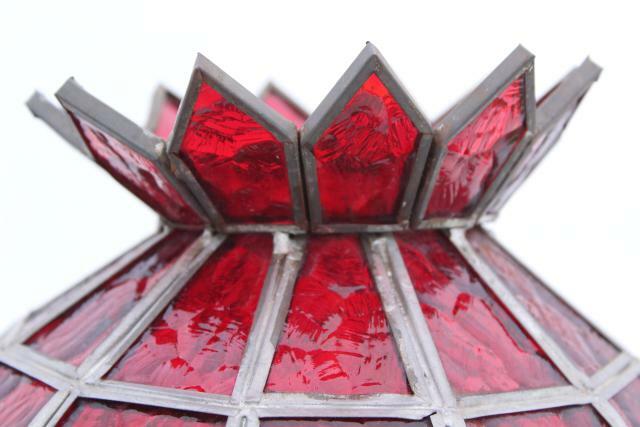 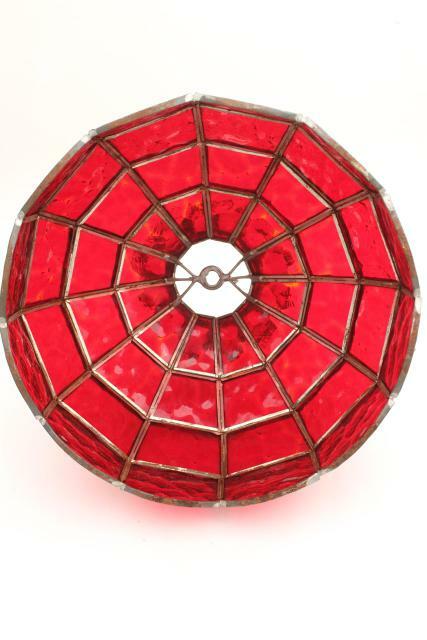 70s vintage leaded glass shade without wiring, beautiful ruby red color! 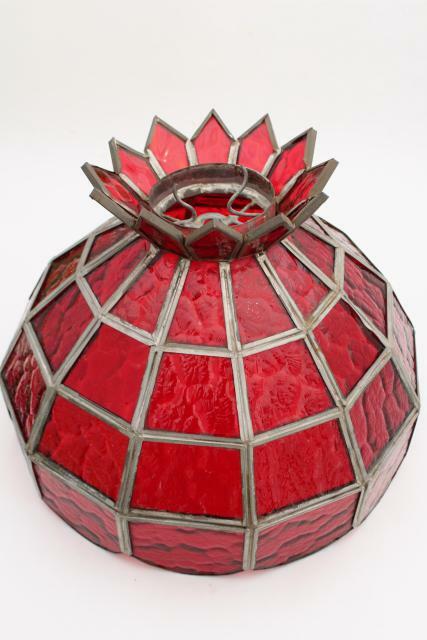 It measures about 9 1/2" tall and about 11 1/2" in overall diameter. 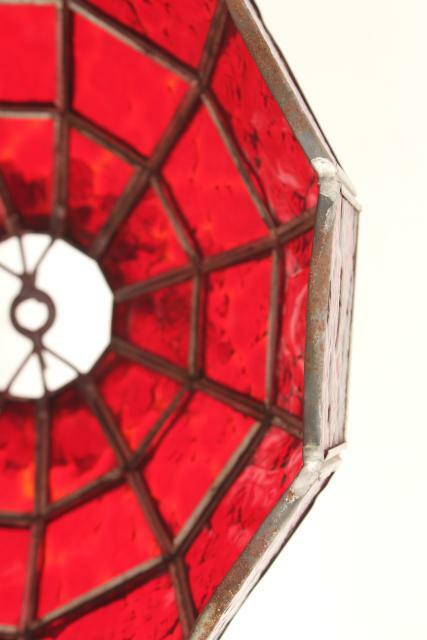 This has a little light rust to the metal hardware, though the glass is in excellent condition without breaks or cracks.